We Have Fresh Start Solutions. At Ledbetter Law Firm, LLC, we help people who are facing serious legal problems. Whether you are facing bankruptcy, have been charged with a DWI in the St Louis metropolitan area or need to file a claim under Section 1983 of Title 42 of Civil Rights Act of 1871, you can turn to us for help. Primarily, we have built our reputation on helping people get out from under the heavy burden of debt. 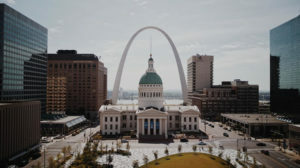 St Louis Bankruptcy Lawyer Frank R. Ledbetter has helped thousands of people in eastern Missouri properly file bankruptcy, keep their credit intact and protect their assets, including homes in many cases. Some of our clients have been able to file for bankruptcy and get a new car loan at an affordable rate the next day. Others have been able to eliminate second or third mortgages and get back on track with restructured, more affordable mortgage payments. Our law firm is one of very few that have been able to do this successfully in the Eastern District of Missouri Bankruptcy Court. It is an opportunity to restructure your debts and finances. It is an opportunity for a fresh start. Filing for bankruptcy is a constitutional right. Did You Know Spouses May File For Bankruptcy Separately? This may be an advantageous option if you want to qualify for Chapter 7 bankruptcy when just one spouse has amassed debt in his or her name and for other reasons. Household finances typically have many moving parts and nuances. It is best to consult an experienced lawyer in any debt relief situation. At Ledbetter Law Firm, our lawyers help people in St Louis and the surrounding areas file for Chapter 7 or Chapter 13 bankruptcy, depending on each person's particular financial situation. We help our clients obtain the debt relief they need with cost-effective, client-focused services. Our legal work can help you climb out from under your debt burdens and regain control of your finances. Section 1983 was initially enacted in 1871 under the Ku Klux Klan Act to prevent racial violence in the former confederate states. Under provisions of the act, any person suffering or who has suffered a violation of federal civil rights may bring a lawsuit for action against the negligent party, even though state law does not expressly prohibit the act. We fight aggressively on behalf of individuals who have had their civil rights violated and who are owed compensation through a 1983 claim. We provide free parking, convenient hours (9 a.m. to 9 p.m. Monday through Friday), a reasonable fee structure and efficient legal work that you can rely on. Call us today at 314-535-7780 or 800-704-3214 toll free, or contact us by email. We represent clients in Jefferson County and clients throughout the St. Louis metropolitan area. Are you looking for legal advice about your bankruptcy? Are you suffering from debt collection, medical bills, and aggressive creditors? St Louis bankruptcy Attorney Frank Ledbetter can help today. We have helped thousands throughout St Louis County recover their financial freedom. If you are facing overwhelming credit card debt, medical bills, and harassing collection calls – you should consider what it means to file bankruptcy. The St Louis MO Bankruptcy Attorneys at Ledbetter Law Firm, LLC are top bankruptcy lawyers who can help you find your financial footing. To Get Started: We begin with a bankruptcy evaluation. Call our office today for a free bankruptcy evaluation to have a better assessment of the best course of action to take. Not all bankruptcy cases are one size fits all. Bankruptcy Laws are designed to protect consumers and business owners alike. Often times – bankruptcy can lead to foreclosure defense. We specialize in helping those that are facing overwhelming debt stay in their homes. We have an intimate knowledge of bankruptcy laws and can devise the best path for you to take.